In Thailand there are many translation services, but unless you engage the service of a legal translator, who has knowledge of the terminology used in Thai Law, there is no guarantee the translation is valid. Translating from and to Thai documents such as birth certificates, marriage certificates, divorce papers and pre-nuptial agreements. 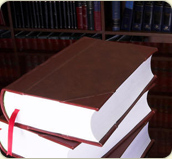 Should you wish we are also able to provide an interpretor during legal litigation.